Happy dogs have more fun! Your dog is happiest when he knows he is pleasing you. Help him figure it out by communicating more clearly with a BigLeash® Vibration Remote Trainer. 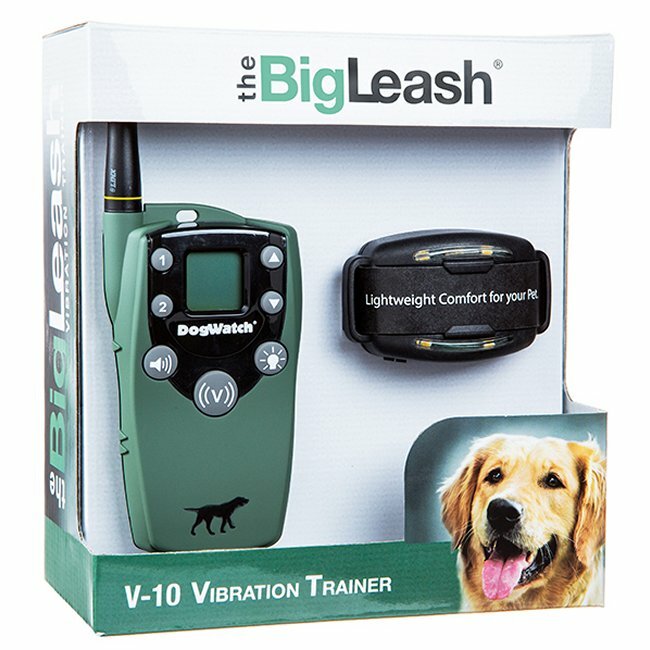 The BigLeash V-10 Vibration Trainer lets you send a vibration signal from a handheld transmitter to a receiver collar worn by your dog. The signal gets your dog’s attention and can be used to teach and reinforce training commands and to change undesirable behaviors. 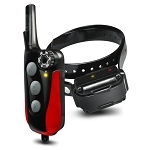 The V-10 offers 10 vibration levels plus an audible signal that can be used for training and communicating with your dog, especially when he is too distracted or too far away to hear your verbal command. 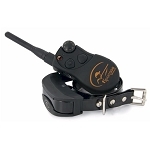 The vibration signal is a safe and effective way to communicate with your dog. It is especially good for dogs who are sensitive or hearing impaired. 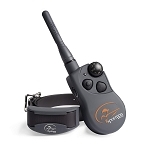 It is the only remote trainer with digital FM technology and exclusive "In-Touch" two-way communication between the hand-held transmitter and your dog's receiver collar. A second dog can easily be added and separate settings can be saved for each dog (Purchase of an additional collar required). The BigLeash is the only remote trainer with two-way communication between the hand-held transmitter and your dog's receiver collar. 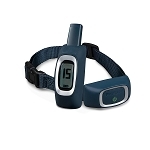 This important feature helps you stay safely connected with your dog via the visual range indicator on the LCD screen that shows you if your dog is going out of range – so you can call him back before it's too late. 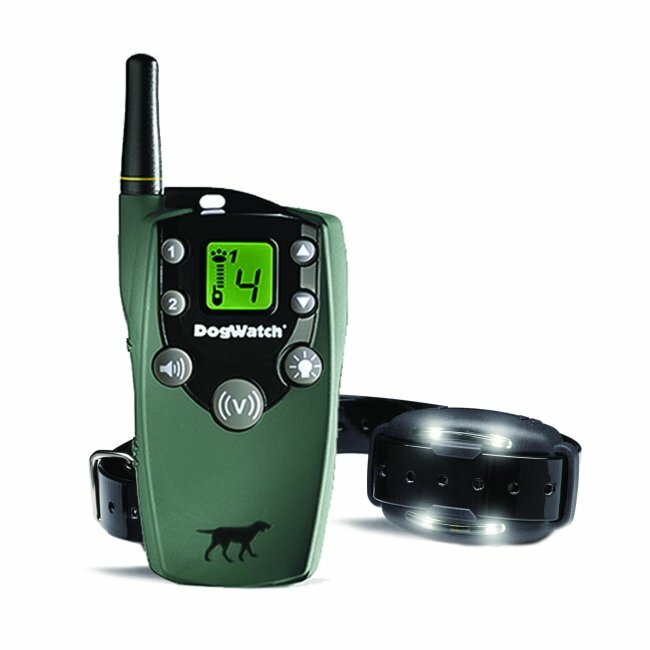 Easily activated from the hand-held transmitter, the 4 LED lights are great for walking your dog at night or locating him in the dark. The signal range is up to 1/2 mile - more than enough to give your dog some room to roam when you go out for leash-free walks. DogWatch, Inc. provides a 2 year limited warranty on the transmitter and receiver for both parts and labor from the date of purchase. DogWatch, Inc. provides a 1 year warranty on parts and labor for batteries from the date of purchase. Accessories such as chargers and splitter cables carry a 1 year warranty. Water damage on transmitters that are “water resistant” is not covered under warranty and subject to repair charges. I've had several "correction" collars in the past. I can honest say the Big Leash is the best one yet. The price was reasonable and the performance is superb. You get noise and vibration correction. The BL offers a wide range of vibration intensity that work very well on our easily distracted GoldenDoodle. Highly Recommend. I like this collar for my deaf dog. It has replaced another collar. The battery life is excellent. My one issue so far is I have a dog, dogs will be dogs right? It says waterproof on the package and in the product description. But when you read the warranty it clearly states it's water resistant and nothing will be covered from water damage. Not very happy about that. For the price I would have expected better. I will now have to page my dog back to me before getting near water, take off the collar and then let him swim. Kind of misses the point of dogs being dogs. Other than this one rather large issue I do like this collar. My boy responds very well to it and the flashing light has helped locate him in the dark. I will however be searching for a vibration collar that is indeed waterproof for this summer. So.if you have a dog yhat likes to swim this collar may not be for you. Don't be fooled by the waterproof description!